The Third Eye Chakra is located in the middle of your forehead and is Purple in color. This chakra is connected to the Spiritual Realm, the Star Gate Within.We hold the essence of our Spirit Guides and connections to the Universal Powers. This Chakra stimulates Intuition, Imagination, Universal Flow, Meditation, Artistic Qualities. This Chakra is Connected to our Pineal Gland, this gland has been called the Star Gate within as it connects us directly to our higher self and the universal energies. It is a simple way for beginners to explore the chakras self-tutored. 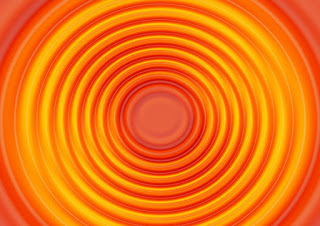 It helps in awakening them gently, and in a balanced integrated way.It can be done sitting, or lying.Close your eyes, adjust your body, clothing.Let the breath relax, slow and deepen, but do not control it.Now bring awareness to the spinal passage, such that awareness of breath is from bottom to top,Spend a few minutes establishing this inner breath pattern up and down. Ascending with inhalation, descending with exhalation. QUESTION :What is a Mantra? Answer :A sound, syllable, word, or group of words that is considered capable of “creating transformation.” The Sanskrit word mantra consists of the root "Man" meaning “to think” and the suffix -tra, meaning “tools or instruments”, hence a literal translation would be “instrument of thought”. 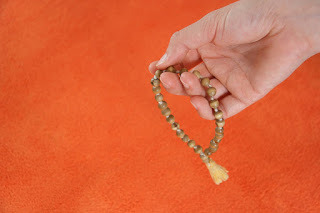 QUESTION :What is Bija Mantra? Namastey means Divine in me honors divine in you.